Jamshid Mashayekhi (Persian : جمشید مشایخی‎, November 26, 1934 – 2 April 2019)  was an Iranian actor. Ebrahim Golestan, is an Iranian filmmaker and literary figure with a career spanning half a century. He has lived in Sussex, United Kingdom, since 1975. The Cow is a 1969 Iranian film directed by Dariush Mehrjui, written by Gholam-Hossein Saedi based on his own play and novel, and starring Ezzatolah Entezami as Masht Hassan. Critics widely consider it the first film of the Iranian New Wave. Masoud Kimiai or Masoud Kimiaei is an Iranian director, screenwriter and producer. Qeysar is a 1969 film by Iranian filmmaker Masoud Kimiai. The film was considered a "landmark in the Iranian cinema" and led to a new trend for brooding noir dramas in which outraged family honour is avenged. Hezar Dastan (1979-1987) is a highly popular TV series in Iran directed by Ali Hatami. Hezar Dastan is considered an eternal work in the history of Iranian TV. Hatami established a small town as historical site in which he made Hezar Dastan. In 2006, Hezar Dastan was voted by the Association of Iranian movies and TV critics as the best Iranian TV series ever made. Kamalolmolk is a 1984 Iranian film written and directed by Ali Hatami about the life and work of famous Iranian painter Mohammad Ghaffari, better known as Kamal-ol-molk. The Cinema of Iran, also known as the Cinema of Persia, refers to the cinema and film industries in Iran which produce a variety of commercial films annually. Iranian art films have garnered international fame and now enjoy a global following. Behrouz Vossoughi, , is an Iranian actor, TV host and model, with appearances in more than 90 films and plays. He has also worked in television, radio and theater. His work has earned him recognition at several international film festivals, including for Best Actor at the International Film Festival of India in 1974 and the Lifetime Achievement Award at the San Francisco International Film Festival in 2006. Reza Kianian is an Iranian actor. Bahman Ghobadi is an Iranian Kurdish film director, producer and writer. He was born on February 1, 1969 in Baneh, Kurdistan province. Ghobadi belongs to the "new wave" of Iranian cinema. Shabnam Toluie, born in Tehran, Iran, is an Iranian actress, theatre director and playwright. She is currently forbidden from working in Iran by the government because of her religion, the Bahá'í Faith. Since December 2004 she is living in Paris, France. and became naturalized French citizen in 2019. Homa Football Club is an Iranian football club based in Tehran, Iran. They currently play in the Tehran Provincial Leagues. 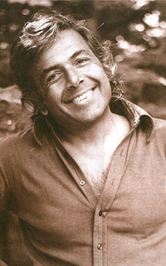 Ezzatolah Entezami was an Iranian actor. Bahman Farmanara is an Iranian film director, screenwriter, and film producer. Bahman Farmanara is the second son in a family of four brothers and one sister. The family business was Textile and he was the only son who did not join the business and went off to United Kingdom and later on to United States to study acting and directing. He graduated from University of Southern California with a BA in Cinema in 1966. After returning to Iran and doing military service, he joined the National Iranian Radio and Television. Kay Khosrow is a legendary king of Iran of Kayanian dynasty and a character in the Persian epic book, Shahnameh. He was the son of the Iranian prince Siavash who married princess Farangis of Turan while in exile. Before Kay Khosrow was born, his father was murdered in Turan by his maternal grandfather Afrasiab. Kay Khosrow was trained as a child in the desert by Piran, the wise vizier of Afrasiab. His paternal grandfather was Kay Kāvus, the legendary Shah of Iran who chose him as his heir when he returned to Iran with his mother. The name Kay Khosrow derives from Avestan Kauui Haosrauuah, meaning "he who has good fame". Nader Mashayekhi is a Persian composer. From 2006 to July 2007 he was conductor of the Tehran Symphony Orchestra. He is the son of Jamshid Mashayekhi. Ali Nassirian is an Iranian film and theater actor and director, who plays both character and leading roles. Nassirian whilst gaining experience in screen writing during 1955 to 1958, he was granted a scholarship for theatrical studies in the United States in 1962. Upon his return to Iran he started teaching theatre and screen writing as well as acting on stage. In 1957, he was employed by the Bureau of dramatic arts as an actor and director. Iranian New Wave refers to a movement in Iranian cinema. It started in 1964 with Hajir Darioush's second film Serpent's Skin, which was based on D.H. Lawrence's Lady Chatterley's Lover featuring Fakhri Khorvash and Jamshid Mashayekhi. Darioush's two important early social documentaries But Problems Arose in 1965, dealing with the cultural alienation of the Iranian youth, and Face 75, a critical look at the westernization of the rural culture, which was a prizewinner at the 1965 Berlin Film Festival, also contributed significantly to the establishment of the New Wave. In 1969, after the release of The Cow (گاو) directed by Darius Mehrjui followed by Masoud Kimiai's Qeysar (قیصر), and Nasser Taqvai's Calm in Front of Others آرامش در حضور دیگران(banned in 1969 and re-release in 1972), immediately followed by Bahram Beyzai's Downpour, the New Wave became well established as a prominent cultural, dynamic and intellectual trend. 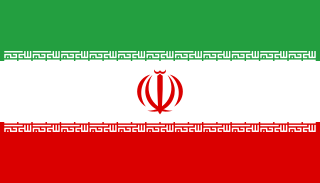 The Iranian viewer became discriminating, encouraging the new trend to prosper and develop. Firouz Karimi is an Iranian football manager. Unruled Paper is a 2002 Iranian film directed by Nāser Taghvā'i, based on an original script by Nāser Taghvā'i and Minoo Farsh'chi. The film was produced in 2001 by Yektā Film. 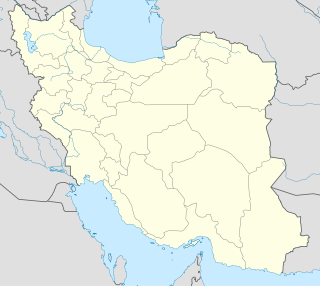 Khoshk-e Bijar is a city and capital of Khoshk-e Bijar District, in Rasht County, Gilan Province, Iran. At the 2014 census, its population was 49000, in 10000 families. Foggy Tabriz is an Iranian historical drama television series directed by Mohammad-Reza Varzi. It ran for one season of 28 episodes. It was one of the first flagship series to air on iFilm. Brick and Mirror(Persian title: Khesht o Ayeneh- Persian: خشت و آینه‎) is a 1964 Iranian Persian-genre drama film directed by Ebrahim Golestan and starring Zakaria Hashemi, Akbar Meshkin, Pari Saberi, Jamshid Mashayekhi, Mohammad-Ali Keshavarz and Manouchehr Farid. In July 2018, it was selected to be screened in the Venice Classics section at the 75th Venice International Film Festival. A House Built on Water is the second post-revolution film of the Iranian director Bahman Farman-Ara. It appeared in 2001 and is 111 minutes long. "Jamshid Mashayekhi turned 74 today" (in Persian). ISNA. 26 November 2007. Archived from the original on 13 December 2007. Retrieved 2007-11-27. ↑ "Iranian Media Report Veteran Actor Mashayekhi Dead at 84". The New York Times. 2 April 2019. Retrieved 14 April 2019. Wikimedia Commons has media related to Jamshid Mashayekhi . This article about an Iranian actor or actress is a stub. You can help Wikipedia by expanding it.